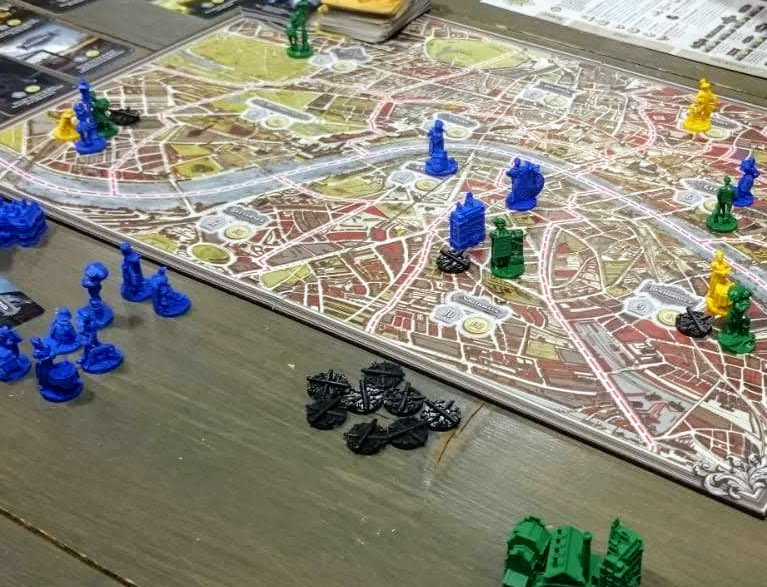 The game takes place in a fictional Victorian London where Sherlock Holmes, Darwin and Charles Dickens all co-exist. 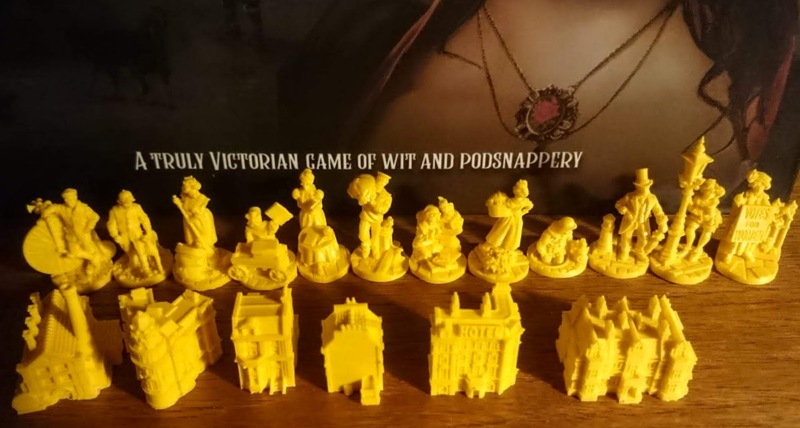 First of all the game looks beautiful and the mini’s are great. Painters of mini’s will be very pleased. Every action card has individual artwork that really brings Victorian London to life. The object of the game revolves around character cards, that each player is dealt out at the start of the game. These character cards have a win condition that is kept secret to the other players. Throughout the game players play action cards to alter the state of the game and try to achieve their own secret win condition. These win conditions vary between having control or presence over a certain number of areas or having an amount of wealth etc. During the game you should not only pay attention to your own win condition, but also prevent the other players from achieving their secret win condition. The action cards players use are drawn from a common pile and every turn you play a card from your hand of 5 and take the actions on the card. Placing characters or buildings on the board, assassinating characters etc. Players controlling areas also have the action of that location available to them in their turn. At the end of the turn players redraw until they have 5 cards in hand again. Play continues until a player achieves their win condition at the start of there turn. That means opponents can still try to intentionally (or unintentionally) stop you by changing the game state, so that you do not meet you win condition at the start of your turn. From the looks of the components and the huge box you would expect this to be the main event of your typical game night. But the truth is, the game is has a rather simple ruleset and plays fast. This actually surprised me and in a good way. There is quite some randomness in the game. Mostly in drawing the action cards and some die rolls on event cards. I typically don’t mind that in a quicker game. There is also a bit of take that in the action cards as well, which combined with the random element give the game a dual feel. You are trying to do euro game style things (area-control, hand-management, action selection) with Ameritrash dice rolling and take That. The concept of not letting others win is very prominent and is not for everyone I noticed in our group. Some really liked this concept, others disliked it very much. You also have to be ready to feel screwed by a random card now and then and not drawing the cards you need. 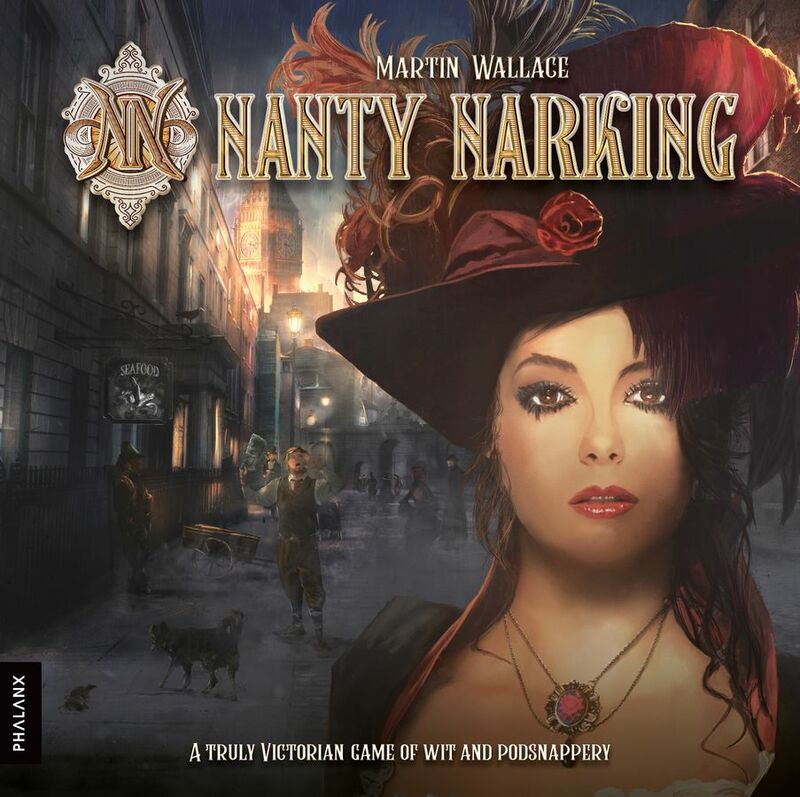 I do feel Nanty Narking does a great job at creating an atmosphere with its hidden roles and artwork. The win conditions are very Euro-ish. The decisions in the game come from choosing a card to play that either helps you in completing your win condition, or choosing a card that can thwart your opponents of achieving their win condition. Nanty Narking could be over before you realize, if you’re not paying attention. Turns are fast and I would recommend Nanty Narking to gamers who like clean game mechanisms with some randomness. 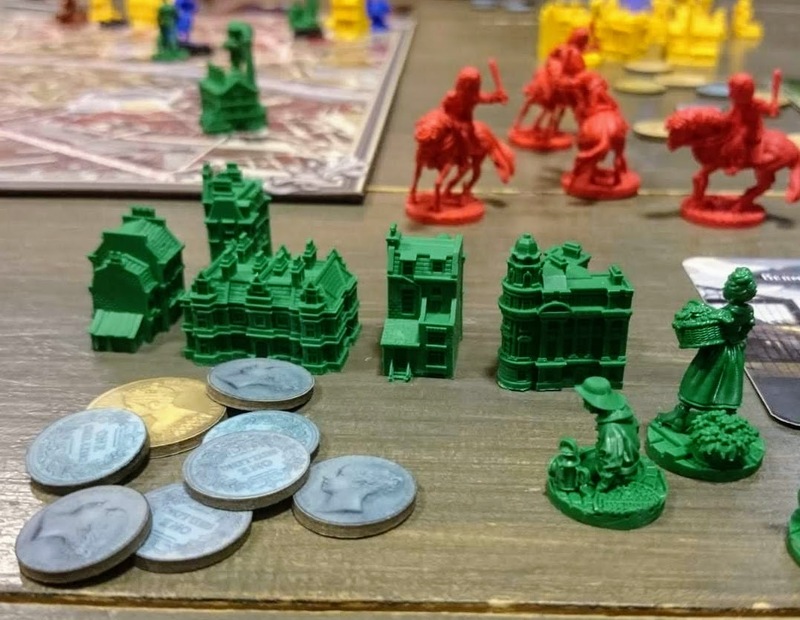 People who enjoy Inis, Risk or Tiny Epic Kingdoms should enjoy this as well.